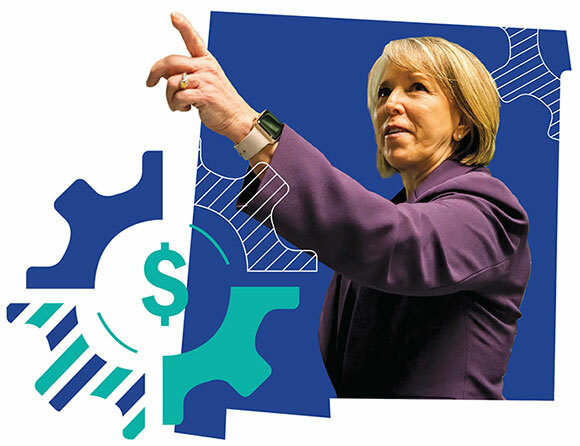 Newly elected Governor Michelle Lujan Grisham tells Site Selection’s Savannah King why education, small-town infrastructure, clean energy and film and TV production top her agenda. The 64-campus SUNY system and newly launched Excelsior Scholarship program are just some of the reasons why talented individuals and talent-hungry companies like the Empire State. The Center for Economic and Policy Research in Washington, D.C., has issued a union membership update on the United States, reporting that the overall union membership rate declined by 0.2 percentage points between 2017 and 2018 to 10.5 percent of workers. In the private sector, the five states that saw the largest increases in union membership were Massachusetts (up 49,000), California (+ 41,000), Pennsylvania (+ 36,000), Washington (+31,000), and Colorado (+27,000)," says the report. The five states that saw the largest decreases were New York (down 134,000), Illinois (-44,000), Wisconsin (-34,000), Ohio (-26,000), and New Jersey (-25,000). Our November 2018 business climate rankings included an executive survey in which right-to-work status was ranked No. 6 among 10 location criteria. The rankings also take into account project location data over time as well as tax climate rankings and our own Prosperity Cup index published every May issue. Below are the Top 10 States in those Business Climate Rankings, with their relevant private-sector union data. Only one of these states — Ohio — is not a right-to-work state. State Business Climate Rank 2018 Private Sector Union % Private Sector Union Members (000s) Rank by Private Sector Union Membership Rate Right to Work State? 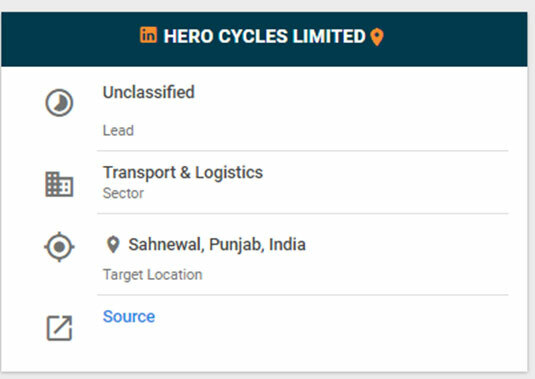 In May 2017, Conway Analytics delivered a Lead Signal which announced that Hero Cycles was seeking to establish a Cycle Valley cluster for innovation and building of new generations of bicycles to meet growing demand in India and Asia. 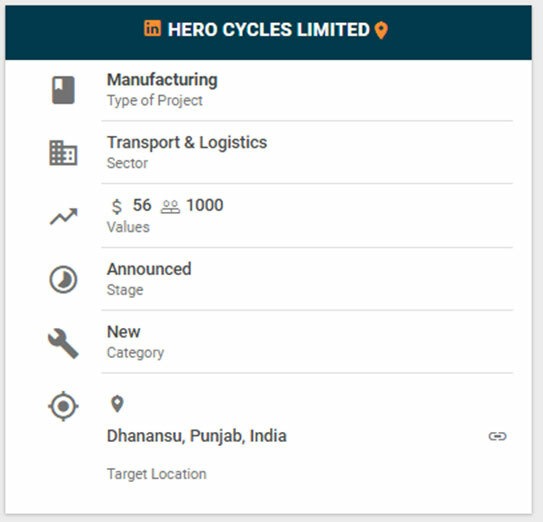 In January 2019, Hero Cycles announced that it was setting up a 110-acre industrial park to establish Cycle Valley in Dhanansu, India. The initiative is in partnership with the Punjab State Industrial Export Corporation. Hero will produce a wide range bicycles and e-bikes. Hero exports bicycles to over 70 countries around the world. Last week we were alerted by one great resource — Canadian American Business Council CEO Scotty Greenwood — about another, as she recommended a white paper recently published by the Beyond Preclearance Coalition exploring ways to ease congestion and expedite commerce at the U.S.-Canada border. If the group’s 54 recommendations are followed, the coalition says, annual supply chain and travel savings based on today’s volumes could come to more than $13 billion. M.C. 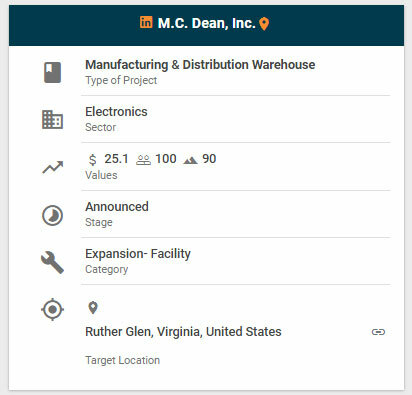 Dean is investing $25 million to expand its manufacturing capacity in Ruther Glen, Virginia. The expansion will add 90,000 sq. ft. and 100 new jobs. M.C. 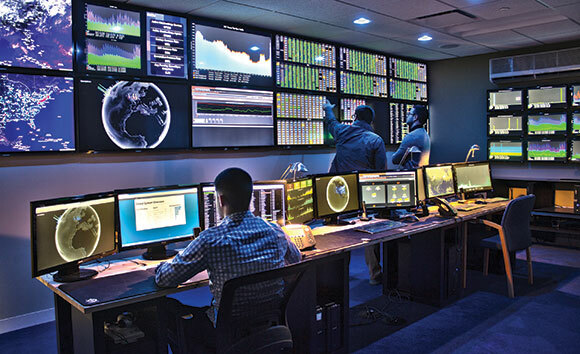 Dean is an electrical- design-build and systems integration firm based in Tysons, Virginia, that builds and installs electrical, electronic security, telecommunications, instrumentation-and-control and command-and-control systems. The company has more than 3,500 employees in the Eastern U.S., Europe and the Middle East. 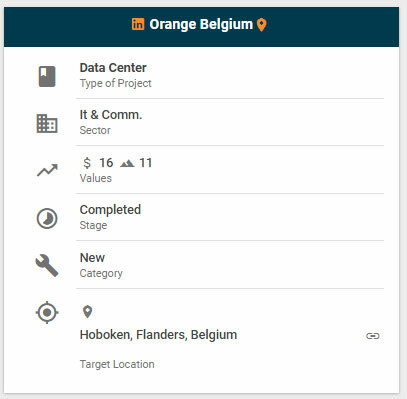 Orange Belgium has announced the opening of its new $16-million data center in Hoboken, Belgium. The 11,000-sq.-ft. data center will support growing demand in mobile usage in Belgium. Orange Belgium, a subsidiary of global telecom services company the Orange Group, provides wireless services to over 3 million customers in Belgium and Luxembourg. Speaking of orange, new construction continues to rise in Upstate South Carolina, home to Clemson University. 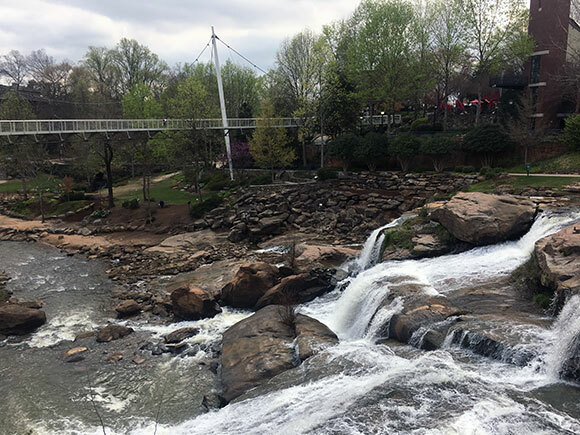 Managing Editor Adam Bruns made a reporting trip to the area this week and took this photo along the Reedy River and the 22-mile Swamp Rabbit Trail that runs through bustling downtown Greenville. Readers will find out what he learned in the Upstate South Carolina Intelligence Report in the May issue of Site Selection. Here’s what we reported about the region in July 2017.